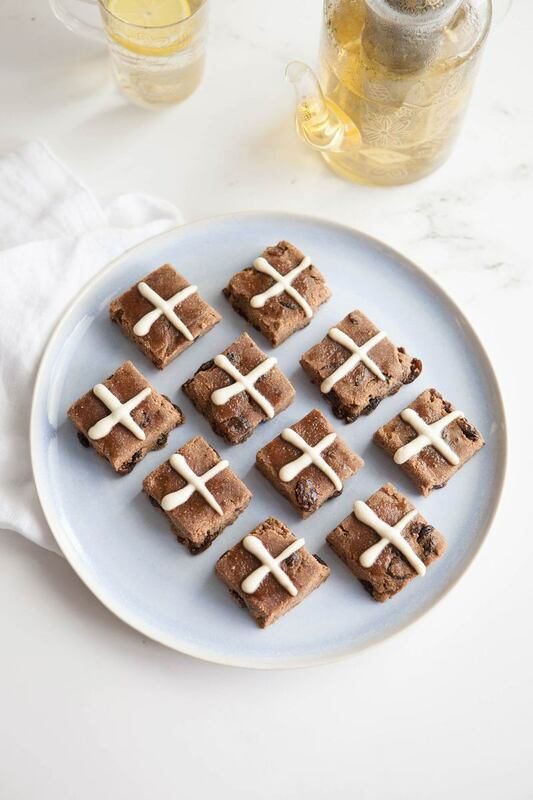 Healthy raw hot cross buns – they’re soft and springy and entirely grain and refined sugar free. The lemony-cashew cream ‘cross’ tops it off. You will need a dehydrator for this recipe. Ok you guys. 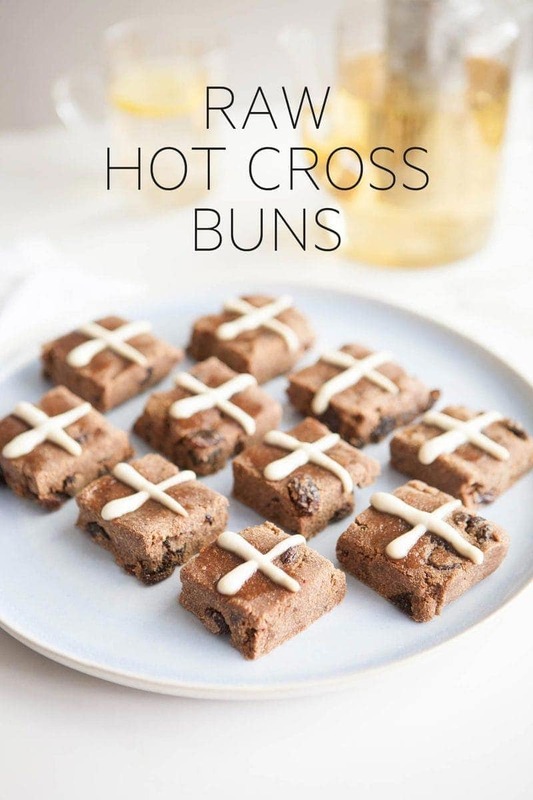 Raw Hot Cross Buns. Eeeeep!! But first, I am so thankful that I am a grown up now, and can make and enjoy my own Easter treats and meals. Flashback to ’96. I was thirteen years old. Denim overalls, jelly sandals, Brad Pitt, Green Peace, Michael Jackson, Calvin Klein ads plastered on the bedroom wall, and Dolly magazine were all the rage. I think I may have wanted to be a Marine Biologist at that stage, and was playing with the idea of vegetarianism – though strictly forbidden by my parents, who thought I simply ‘wouldn’t grow’. At that time, Easter was full of dread. Being a Croatian family, we would have a big fat family dinner on the Good Friday, sitting down to a meal of Nana’s traditional fish head soup. Oh my goodness. Could there be a worse thing in the culinary world? An actual entire fish head, glazed pearly eyes, floating in a broth of smelly liquid, soggy rice floating at the surface (no offence, my dear, sweet Nana). This is entirely subjective of course, because the rest of the family licked their bowls clean each year. The room would be silent, save for their slurps and the clinks of spoon on ceramic bowls (and my whining, of course). To me however, it was just the worst thing ever. The fish head soup tradition has continued to present day, but luckily, I no longer have to endure it. I’m quite happy to fix myself some fresh salad and tempeh while the family chow on down. Easter is so amazing now! 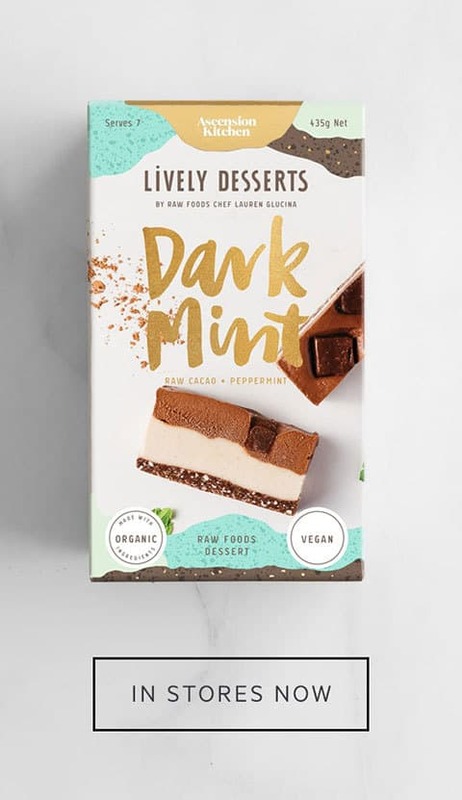 And – of course – I totally get to indulge in all kinds of healthy plant-based treats. Which brings me back to today’s recipe. Last year I made some delicious (cooked) Hot Cross Buns, and this year I decided to try a raw version. It’s always a challenge recreating breads, raw foods style, as you can never quite get that soft springy-ness. However, I reckon these are pretty close. It’s actually the combination of almond meal, psyllium husks, nut milk and grated apple that gives the winning texture. I avoided using flax meal for this recipe, as the flax does have quite a distinct taste. Psyllium seed husks come from the Plantago ovato plant and are commonly used as a bulk laxative due to their high fibre content. In fact, they’re also affectionately known as ‘Nature’s intestinal broom’. Upon contact with water they swell and form a mucilaginous gel, adding bulk to your poop and facilitating its passage through the colon. This unique swelling ability is pretty handy in cooking (or un-cooking) as it makes for a fabulous binder. The only caveat – you don’t want to go overboard with it as it may have the opposite effect and get stuck. 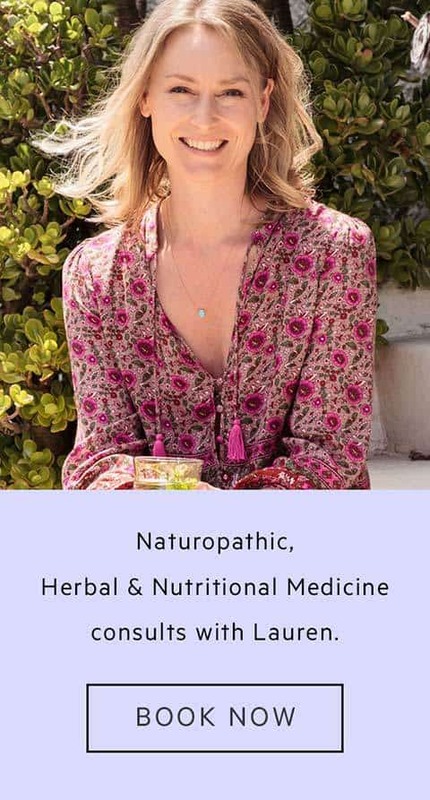 As a general rule of thumb, you want to be having lots of water if you’re taking it therapeutically, and you only want to use just a little if you’re using it in a recipe – and, ensure that recipe includes some liquids. 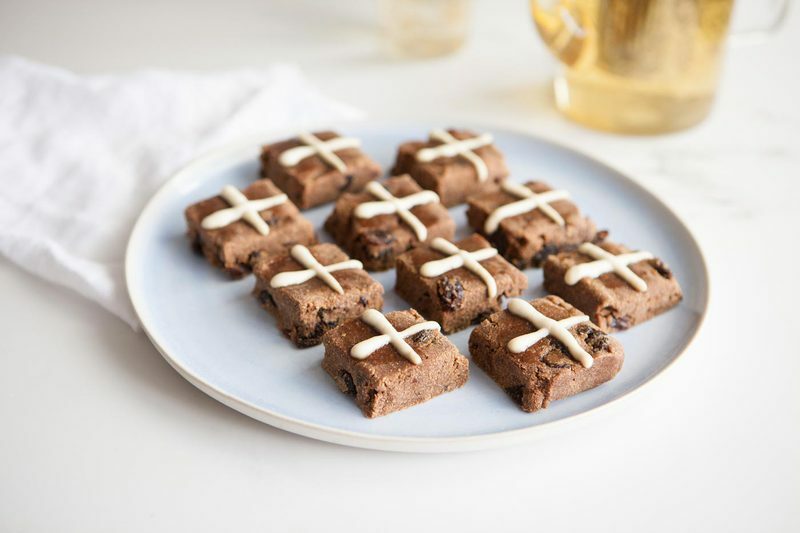 In these Raw Hot Cross Buns, the amount of psyllium husks comes to approximately 25g (1/4 cup), which equates to about 1.5g per serve. A therapeutic dose to help the bowels move would be closer to 10g daily in divided doses . This recipe has been tried and tested a few times, and I’m really happy with it. As with last year, the general consensus amongst the guinea pigs (aka, the boys), was ‘more fruit!’. So, these are saturated with juicy sultanas. 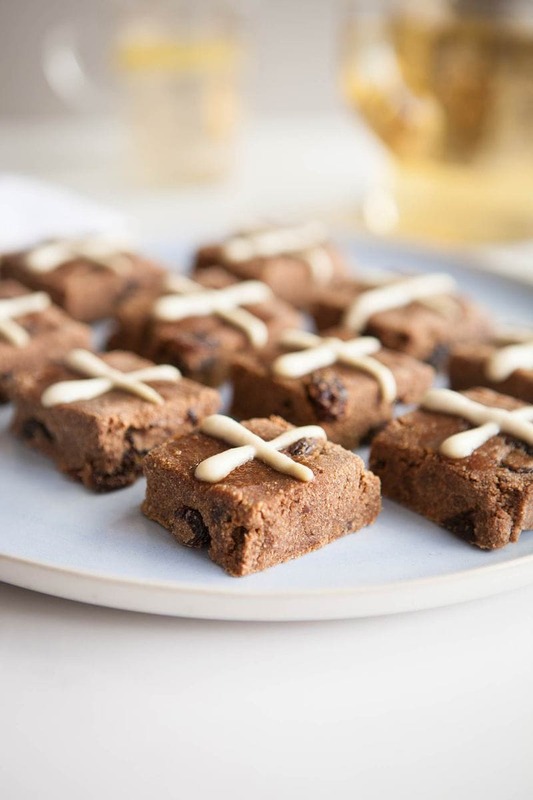 The spice mix is just perfect and the cross is just a pretty basic lemony-cashew blend. You can totally make and eat these without dehydrating them, though, enjoying them fresh out of the raw oven like that is just so a-mazing. The best thing about them – aside from being incredibly quick to whip up – is that they keep really well. 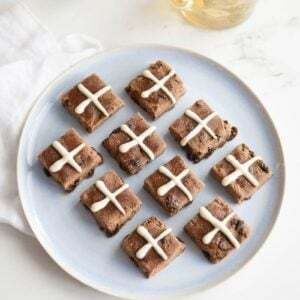 The Healthy Hot Cross Buns I made last year were fantastic but they really are better enjoyed fresh. 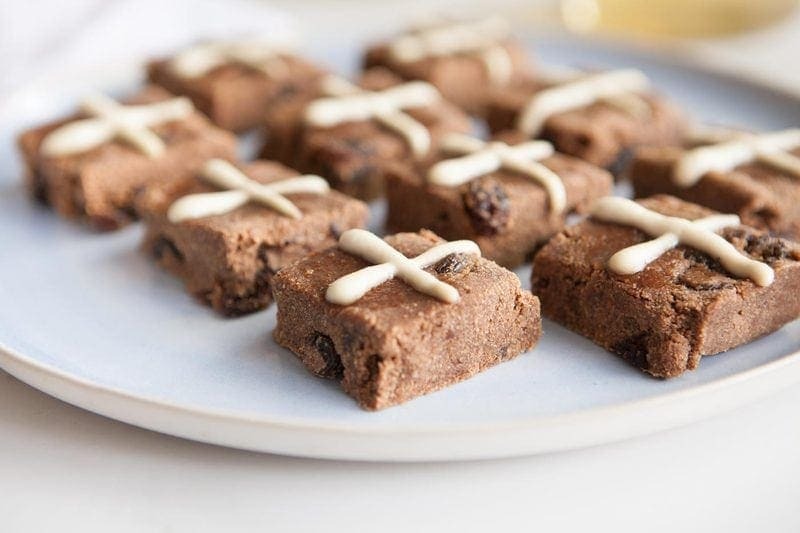 Now, if you’re more a chocolate person over fruit when it comes to Easter, pop back next week because I have the most indulgent (totally vegan totally healthy totally yummy) recipe just for you. 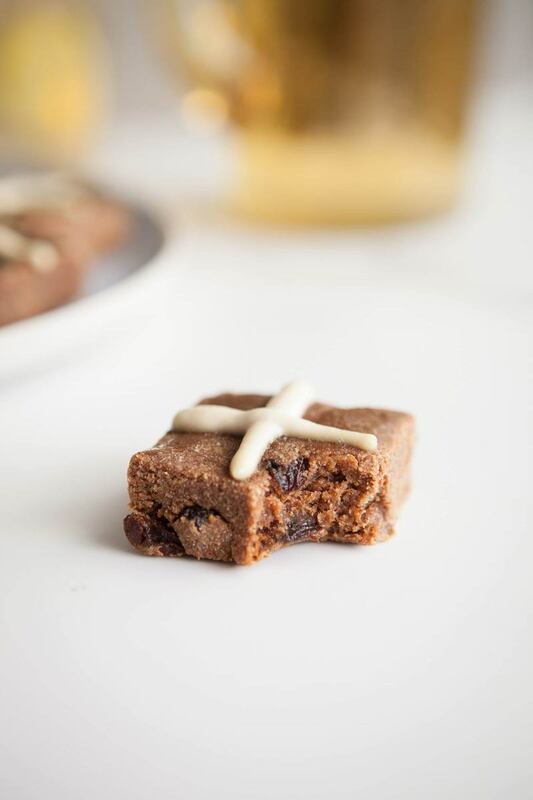 These healthy Raw Hot Cross Buns are vegan, refined sugar free and gluten free. 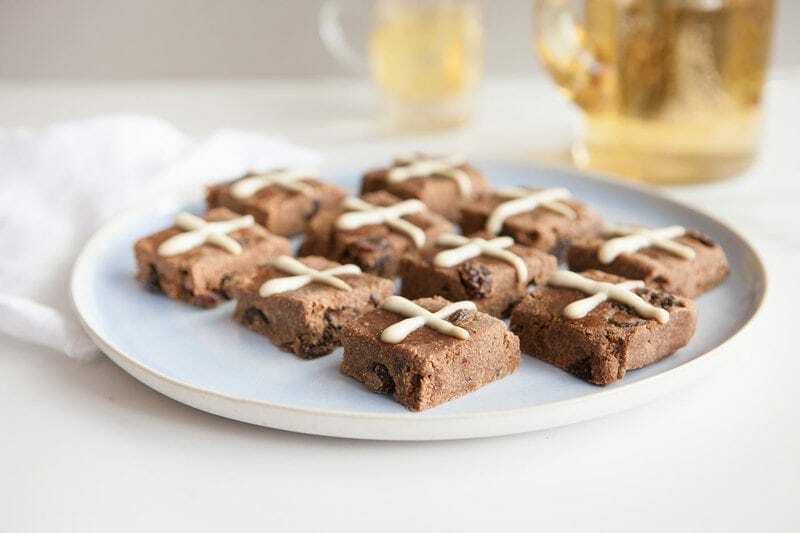 Soft and springy with a lemony-cashew cream ‘cross’. Please note the active prep time excludes the 8 hours soaking required for the cashews. You will need a dehydrator, and drying time is 5-6 hours. Place all but sultanas in a food processor and whiz till a dough forms. Transfer to mixing bowl, mix in sultanas. Press mixture into an 8inch square baking tin lined with baking paper, let sit for 10 minutes, remove, then cut into 16 even squares. Place squares on a dehydrator tray. Dehydrate for 1 hour at 135˚F, then turn down to 115˚F for another 4-5 hours. Drain cashews, blend everything in blender till smooth. Spoon mixture into a piping bag, then pipe on crosses over the dehydrated buns.